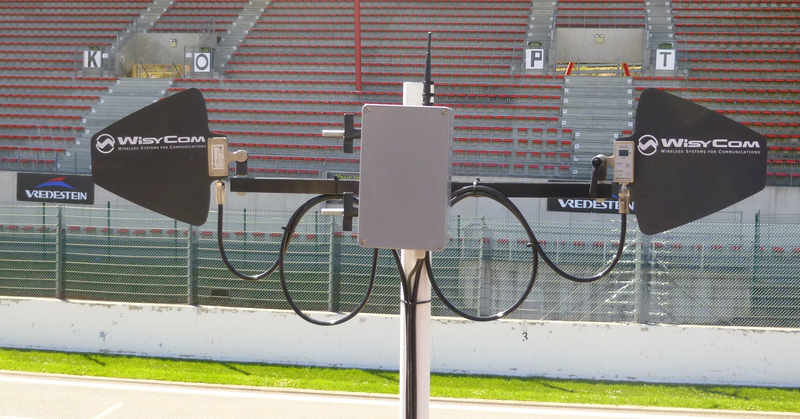 In order to bring an even better experience to the visitors of the Spa Francorchamps race track, a mobile reporting crew covers all the inside action in the pit lane and from the team workshops. The reporters hit the road with wireless microphones and look for interesting facts, scoops and bring interviews of the pilots and their crew. In case of calamities, they can assist in handling interventions or evacuations. The tech support teams of the various race teams as well as the ENG-teams are using many microphones, in-ears, intercom systems and telemetry. The available spectrum was almost completely lavished with that many devices. Secondly, the pit lane is several hundred metres long and the steel constructed garage boxes are anything but “RF friendly”. Reporting in real-time from the pit lane is challenging for the crew. Interference is to be avoided at all times, especially when the wireless mics are needed in time of calamities. 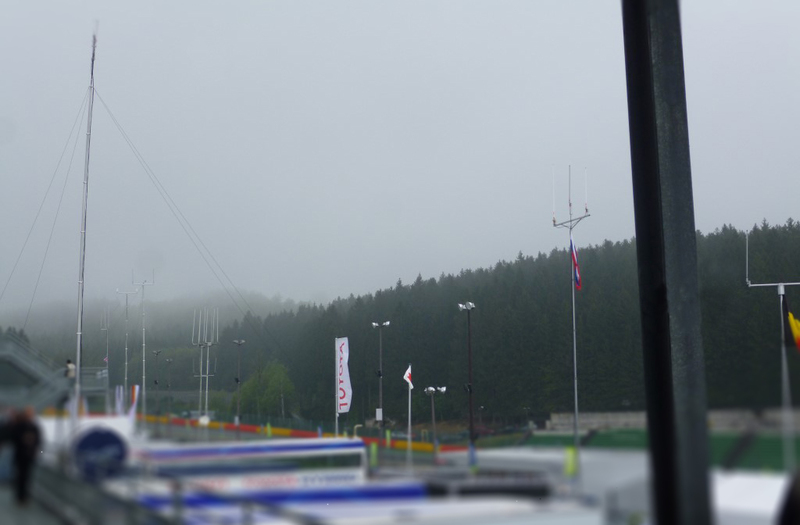 With this in mind, Spa Francorchamps chose for an excellent solution with the Shure Axient wireless system, in combination with Wisycom antennas. The Shure Axient systems are automatically, and in real time, calculating which frequencies are available and deploy them to the Axient transmitters and receivers easily and efficiently. For additional flexibility in complex RF environments, this system monitors and ranks a live list of backup frequencies. The backup frequency ranking evaluates the quality of the backup frequencies and determines which are the most usable. When the system detects risk of interference it automatically hands out the best backup frequency to handheld transmitter(s) and receiver(s) alike, allowing fully synchronized switching, without human intervention, using the Showlink wireless network. The Shure Axient system allows working in a frequency diversity mode which ensures seamless, uninterrupted audio for mission-critical transmitters in complex RF settings. The system is able to receive audio from a single source on two independent frequencies and uses the signal from both frequencies to provide optimized audio on a single channel. The risk for drop outs will be reduced to virtually zero. 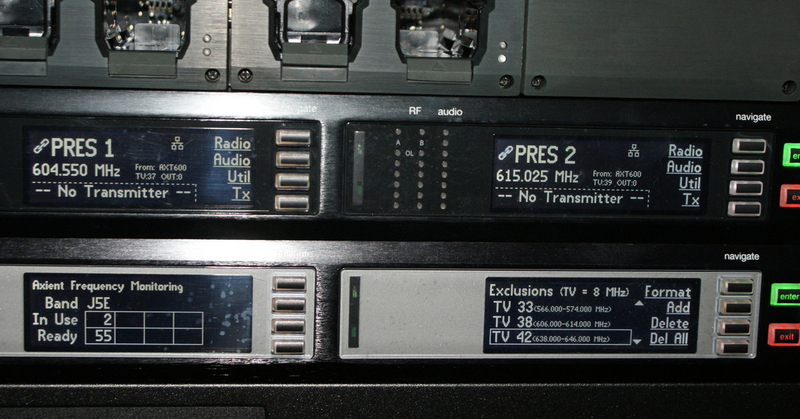 Glenn Willems, Account Manager at FACE explains: “The selectivity and the excellent intermodulation behaviour of the Axient transmitters and receivers, in combination with the bullet-proof Wisycom headend amps (IP3 = +40 dBm), ensure that interference due overload, adjacent channel transmitters and intermodulation products can be avoided. When we tested the system in this critical environment, it turned out that even on the edges of the requested coverage area, we were able to obtain more than 25 dB of fading margin using a clever antenna configuration.